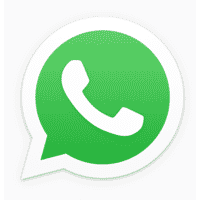 Here are the most interesting WhatsApp statistics and facts I have dug up over the years. It should give you a snapshot off what exactly Zuck and crew dished out all that money for. As always, I’ll be adding and updating as new statistics pop up along the way. One stat post that I have been meaning to put together for quite some time is WhatsApp. The chat app has only been around for a few years, but has certainly racked up some staggering usage statistics and download totals. WhatsApp began by a couple of ex-Yahoo! employees, Jan Koum and Brian Acton, who couldn’t get a job at Facebook. They decided to develop a simple messaging app for the new iPhone ecosystem and named it WhatsApp. Ironically, in 2014, WhatsApp was purchased for $19 billion by the same Facebook that wouldn’t hire Koum and Acton. WhatsApp’s user base and popularity has grown exponentially since those early days of the iPhone. The app is now available on all major mobile and desktop platforms and has over 1 billion users. With so many users, there are countless interesting facts about WhatsApp worth noting. Here you go…. How many people use WhatsApp?